Websites are often the first point of contact for potential customers engaging with business. A good impression is vital. It builds confidence and a positive, lasting impression of a company’s brand. Equally important is the technical know-how and ability to identify, direct and capture website traffic for the benefit of marketing and sales. 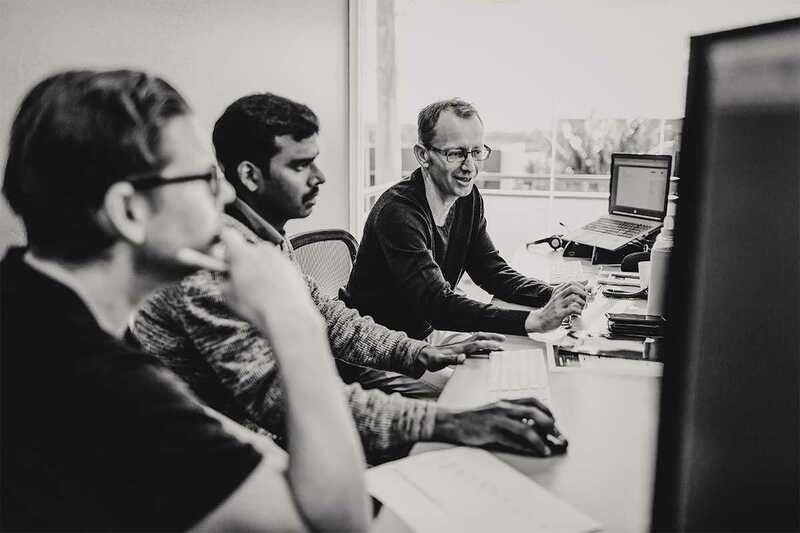 With decades of experience in the field, IT Basecamp’s web development team has the skills and expertise to build your next project. We don't use themes or pre-made templates. We build from the ground up, starting with developing mockups in our favourite design tool, Sketch, we work closely with you to communicate your brand consistently. We always design ‘mobile first’, unless there is a compelling reason to do otherwise; mobile usage currently dominates the consumption of online information and Google now indexes mobile versions first. Before developing your fully realised vision, you will see prototypes of your project (for mobile/tablet and desktop). This enables any potential design or content issues and challenges to be solved and also acts as a blueprint for the final product. A website without a sturdy CMS (Content Management System) behind it will quickly become ineffective and irrelevant. We give you the tools to modify, add and maintain, keeping your content fresh and up to date. Starting with either Craft CMS and Wordpress as a base, IT Basecamp will build a flexible website structure without compromising on design and consistency. We will provide a clean, user-friendly interface that is both easy and fun to use.